A stretch of the Great Wall in Liaoning province, built during the Ming Dynasty (1368-1644), has indeed been turned into a smooth, white trail of cement in the name of restoration. To say the irreversible damage caused to the UNESCO World Heritage Site, the pride of the nation, is outrageous would be an understatement. The Great Wall with a cemented trail is like the Taj Mahal adorned with glitzy modern tiles or the statue of Venus de Milo with restored arms. Architecture and aesthetics aside, the damage to the Great Wall is also a crime against history. What makes it more deplorable is that, instead of feeling remorse, officials of Suizhong county’s cultural relics bureau, who were in charge of the project, insisted they had done nothing wrong, claiming the repair work that started in 2013 and ended in 2014 followed the regulations and laws on the protection of the Great Wall. One official even said netizens who have raised a storm over the “destructive nature of the repair work” do not fully understand how the national treasure is protected. The depth of folly, as well as the ignorance of law displayed by the officials are shocking. Any sane person can tell that by pouring cement over the ruins of the wall, they have basically erased whatever features were still left of this man-made wonder. The 8,800-kilometer-long Great Wall is in a perilous state, with more than 30 per cent of it having already disappeared, either due to natural erosion or unchecked human activity. Yet preservation work lags behind, with only 10 per cent of the Great Wall under some sort of State protection. China is yet to work out a unified set of standards for repair and restoration work on the wall. But experts agree that “minimum intervention” should serve as a guideline for preservation, a principle that has been violated by Liaoning officials. The Great Wall is protected under Chinese laws, and even theft of its bricks is a criminal offence. Since an investigation by provincial cultural heritage authorities is still going on, we cannot say for certain who or what is to blame for ruining the wall. But those people who are responsible for disfiguring the wall, either because of lax supervision, dereliction of duty or corruption, must be brought to book. To me, the so-called restored stretch of the Great Wall in Suizhong is no different from the theme park in Beijing’s southern suburbs where you can see all the wonders of the world in miniatures. Around the world in a day. The Great Wall has always been on top of the list of must-see sights for visitors to Beijing. As the saying goes, “he who has not climbed the Great Wall is not a true hero”. But normally I don’t accompany friends or relatives to the Badaling section of the wall, a hot tourist site, unless they insist. The restored section of the wall in Badaling, in my view, has lost its historical glow. 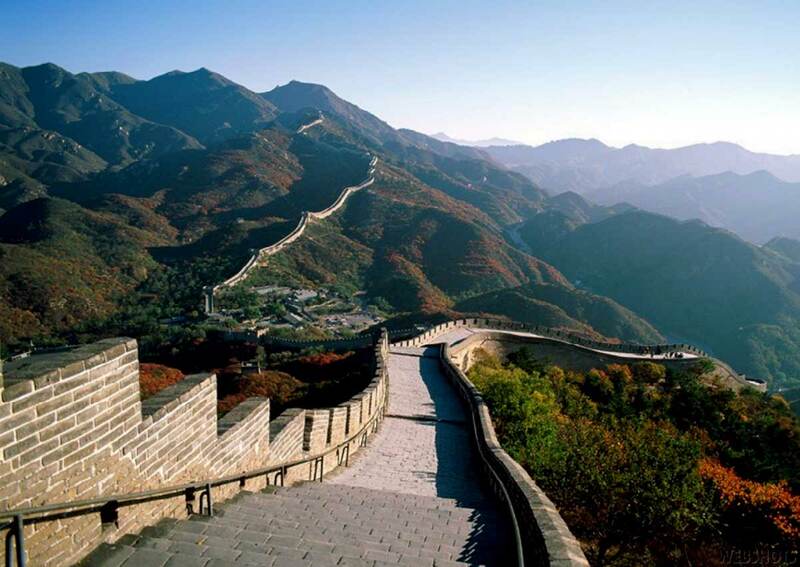 If at all I accompany friends or relatives to the Great Wall, I prefer taking them to the “wild” sections, the real wall, at Jinshanling or Simatai, where its original beauty survives. Those sections give you a sense of history, remind you of the transient nature of time and tell you how human endeavour eventually succumbs to natural forces. “The wall has life.” I still remember a tour guide told me during a trip to the Great Wall as she pointed to the bricks, each carved with the name of its maker hundreds of years ago, a tracking method used in the days of yore to ensure quality. It is the sacred duty of us all and of the generations to come to keep the Great Wall alive, instead of stifling it to death by pouring cement mixture on it.